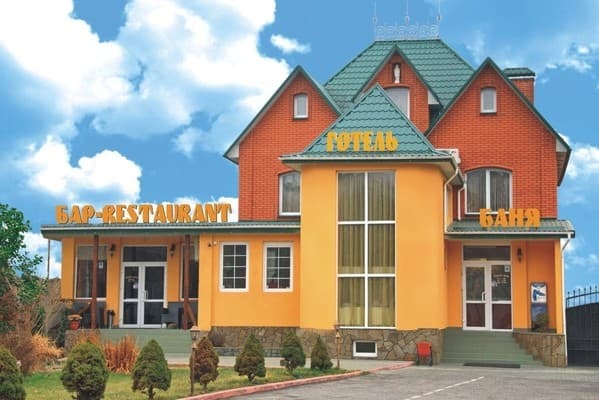 Hotel - restaurant complex " Pivdenna Brama " is located on the outskirts of the city in the direction of Kamenetz-Podolsk. 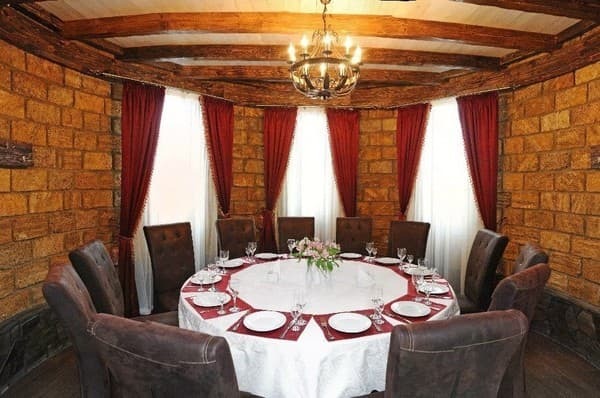 The hotel consists of 12 single and double rooms "standard" category, as well as two-room "suite". 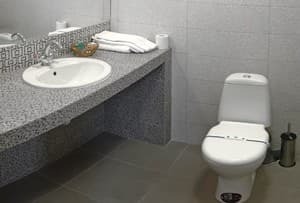 Rooms are designed in soft colors and equipped with comfortable furniture, mini-bar, desk, television, air conditioning, shower and toilet. The rooms have free Wi-Fi. 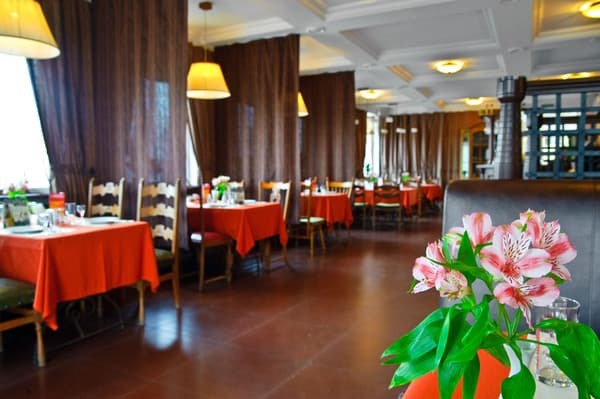 The hotel has a restaurant " Pivdenna Brama ", where you can taste Ukrainian and European cuisine. It offers sauna-baths: Finnish, Turkish and Russian. Free parking is available. Distance from the railway station is 5.3 km. 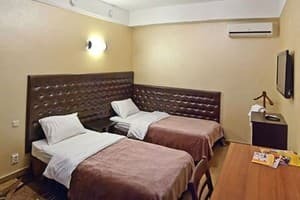 Description of the room: There is one double bed in the room. The room is equipped with a desk, a chair, a wardrobe. 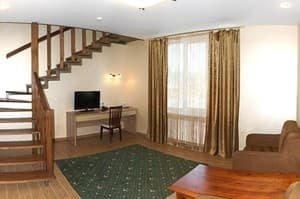 Description of the room: The room is equipped with two single beds, a desk, chairs. 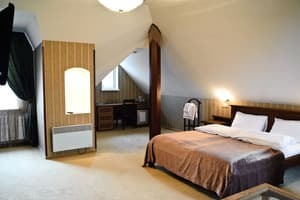 Description of the room: Two-storey four-bed room. 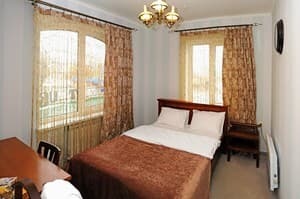 The room has a double bed and two armchairs - beds. Equipped with a desk, chairs. Description of the room: The room consists of 2 rooms. Equipped with a double bed and a single bed. The room can accommodate up to 3 people. 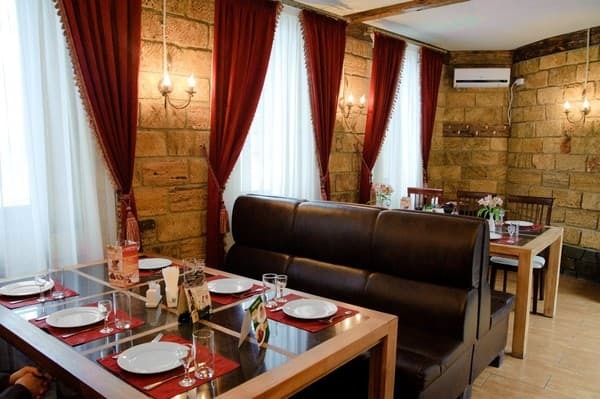 Description of the room: The room is equipped with a double bed, a desk, a chair, a coffee table and armchairs. Possible extra bed for a fee. В гостиничном комплексе,,Пiвденна брама"были проездом13.08.17г,ночевали в номере стандарт,номер уютный и чистый.Все понравилось.Рекомендую. Очень вкусная и разнообразная кухня в ресторане при отеле. Поварам и официантам большое спасибо. Молодцы!!! Ступеньки на второй этаж и правда скрипят, и запах от курильщиков ощутим. Кафе дороговато. It is possible to add extra beds. 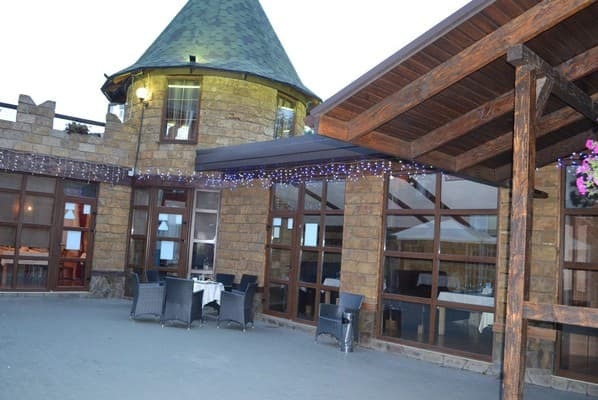 On the territory of the hotel there is a restaurant where you can taste dishes of Ukrainian and European cuisine. The cost of breakfast is 77 UAH. 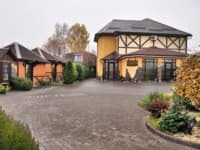 Hotel - restaurant complex " Pivdenna Brama " is located on the outskirts of the city in the direction of Kamenetz-Podolsk. From the railway station you can get there by taxi № 40,27,49. From the central bus station shuttle bus number 40.21.